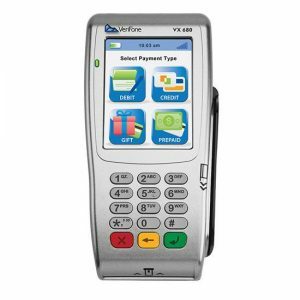 Brand new Verifone VX520CTL terminal with EMV reader and more. View cart “ELO I-Series” has been added to your cart. 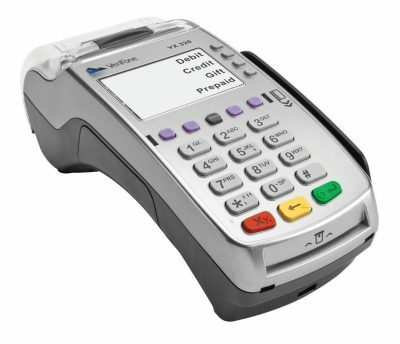 This is a brand new Verifone VX520CTL terminal with EMV reader, contactless reader, and dual com modem. While others sell this terminal in a refurbished model or dial up only model, we sell it brand new with dial up and Ethernet communication. It also includes the new EMV smart chip reader, which merchants need to have in place by the October 2015 liability shift deadline. It also includes a contactless reader so that you can accept payments from electronic wallets such as Apple Pay. 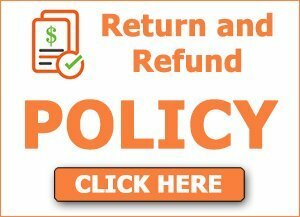 This is the most up to date terminal on the market! 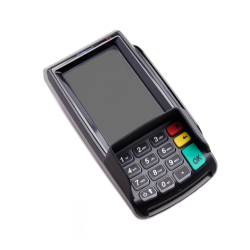 This PCI compliant countertop credit card machine is highly recommended because it is the best way to future proof your business. 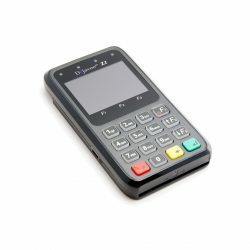 Others sell the regular VX520, but we have it with the new EMV smart card reader and NFC contactless reader included at this low price. You can take a card by swiping the magnetic stripe, by inserting the EMV smart card into the EMV reader, or by waving a card or smart phone enabled with NFC over the contactless reader. The dual com modem allows you to run transactions through the internet when connected to an Ethernet cable or through a phone line, whichever you choose. Many merchants like to use this terminal through the internet, and have dial turned on as a backup, just in case the internet is ever down. 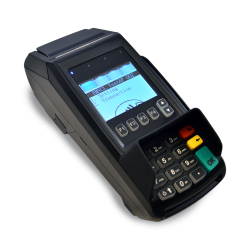 The VX520 also uses a fast, thermal printer so you never have to buy ink or ribbon for the machine. 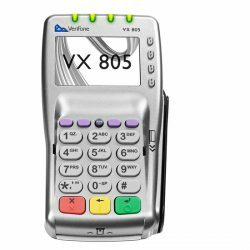 In addition to taking credit and debit cards, the VX520 can handle multiple applications such gift cards, loyalty cards, and electronic checks. If you need information regarding these services, please let us know. 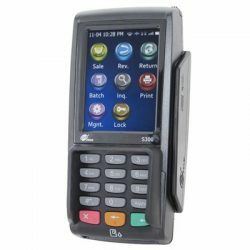 If you are looking to setup your business with the latest in payment technology, then the Verifone VX520 CTLS is definitely for you.